Ever since 1999, Harry Nass Centres have stood for quality and service at a high level. 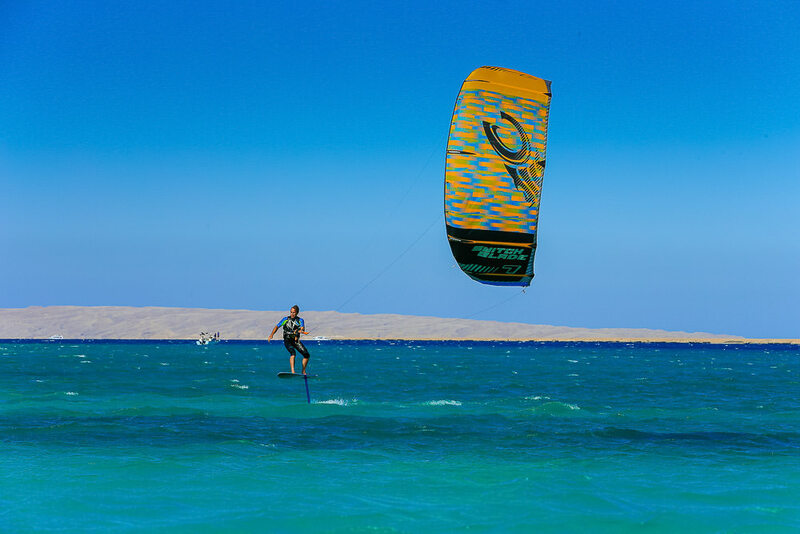 In 2011 awarded ‘best windsurf and kite centre’ by the Egyptian Ministry of Tourism. 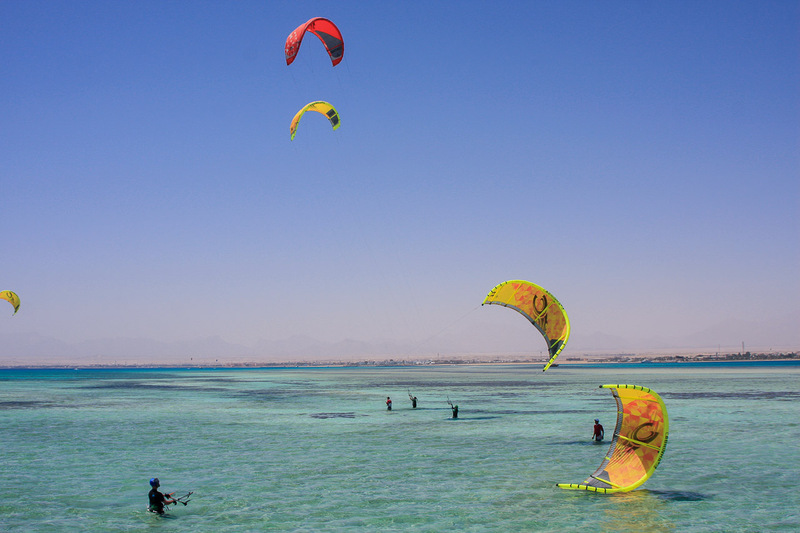 Known worldwide as the Mecca for windsurfing, kiters have also discovered some spots in Dahab for themselves. We either kite in the shallow lagoon (300x500m) or for advanced kite surfers in the leeward of the windsurfers in area 2 as well as outside of the Napoleon Reef in the wave. 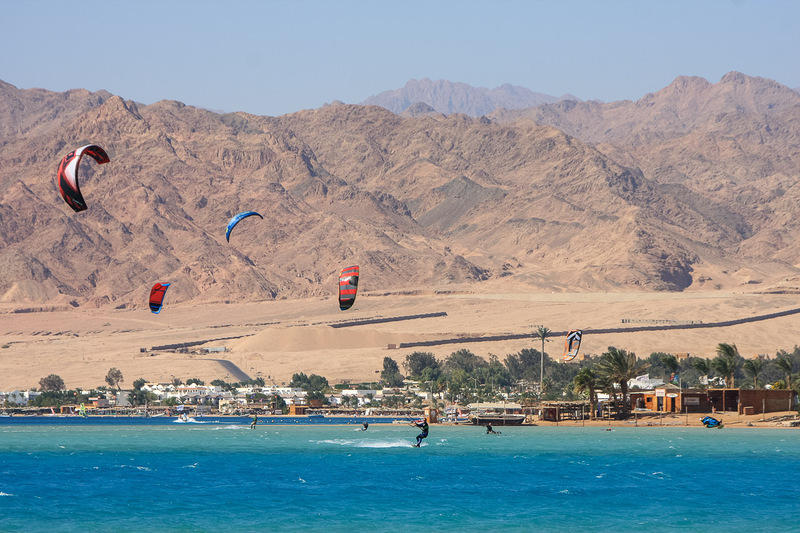 Dahab is perfectly suited as a combined spot for windsurfers and kiters. Due to the free boat-shuttle service between the centres every guest can make use of all the services available at any Harry Nass station. Our kite instruction takes place at Centre 1. The enclosed kite lagoon is ideal for teaching beginners at high tide and also for independent practicing after the course. The area outside of the bay is challenging and because of the cross-offshore wind an affiliation to the station with rescue service and storage is a must-have. 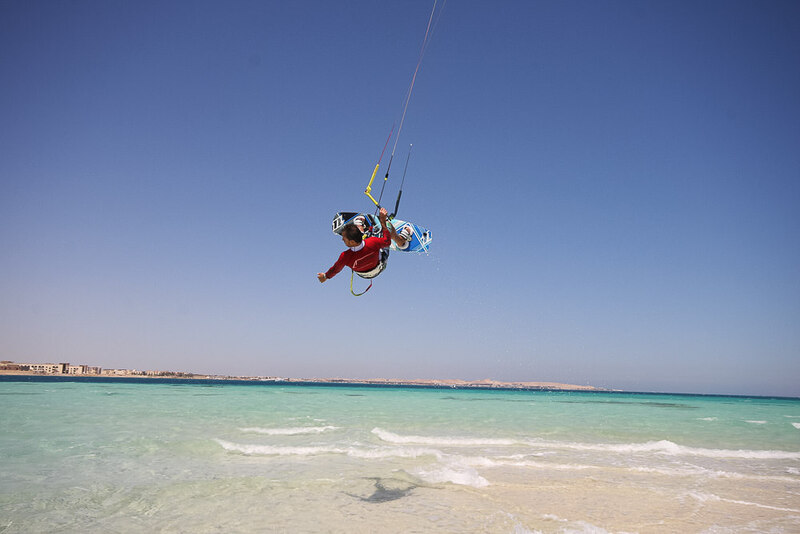 For your safety, the Harry Nass stations are the only centres in Dahab to offer a radio rescue system for every kiter. No less than two lifeboats are available if required. 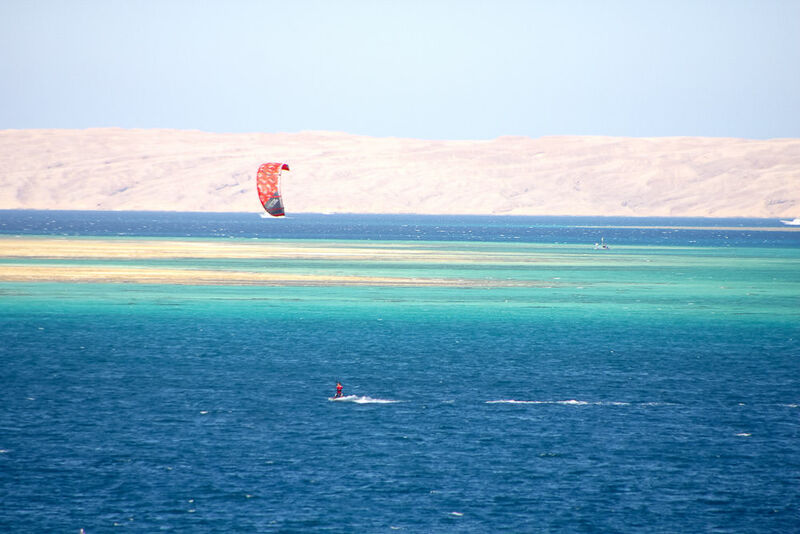 Due to the unique location at the Red Sea, the wind in Dahab blows stronger and more frequently with at least 4 Bft. on some 300 days a year. Complimentary SUP boards are available to our guests for the windless days. Ideal freeride spot with a light chop, shallow water and an upwind standing area on the sandbanks. Caribbean-looking sandbanks and turquoise water with endless space both windward and leeward. The 4* Hotel Mercure Hurghada and the Harry Nass Station, which opened in 2015, are just a 10-minute drive from Hurghada Airport. Our windsurf and kite station is located directly at a small bay with a sandy beach. The launching spot for kiters is about 100m upwind. From bed to board with lots of space both windward and leeward. The spot impresses with its all-round qualities, side shore wind from the left without turbulence, shallow water and a standing area on the sandbanks. Windsurfers and kite surfers alike will get the most out of this area. The islands are 700 m upwind and you can get there easily with a few runs. Kite surfers who are not that experienced should take part in the training programme which includes a boat shuttle to the islands. It is not possible to practice independently at the station without affiliation. A well-proven radio rescue system ensures the safety of every kiter. No less than three lifeboats are available. The new station offers a large shaded area for kiters with storage, compressor, fresh water for cleaning the kites, a classroom and a cosy lounge area for sundowners. It goes without saying that there is a changing room, showers and free internet access as well as a harness and suits rental. On windless days, complimentary SUP boards are available for our guests. Adequate entertainment for the non-kiting partners is provided and includes a house reef for snorkelling, workout programme in the hotel, riding stable, diving and tennis. A variety of modern restaurants, such as Thai or Indian, are waiting for you in Hurghada. The newly designed marina with its yachts and restaurants is definitely worth a visit.